We Delight with Each Piece of Jewelry We Deliver. Read Reviews from Real Clients on Yelp and Google. "During our first Skype call, I knew instantly these were the guys I wanted to buy a diamond from. What blew me out of the water was my concierge's pure intent to educate me beyond the 4 C's. She was transparent with me on the process, diamond selection, grading institutions and even a bit of insight of how the diamond industry operates. Anyone can appreciate the honesty and their attempt to understand you a customer." Read the full review on Yelp. "We were able to find the exact diamond I had been imagining, all for the lower end of our budget, so much less than the lower quality smaller mined diamonds we had been shown before! The whole experience was above and beyond anything that we had encountered before." Read the full review on Google. "They really take bespoke to the next level" Read the full review on Google. "All of Ada's jewelry is custom, so you get to actually see the design (AutoCAD designs, life-like renderings, and even renderings on hands). The team was very responsive and patient in the design process and our ring came out absolutely stunning. We get compliments on it every day." Read the full review on Google. 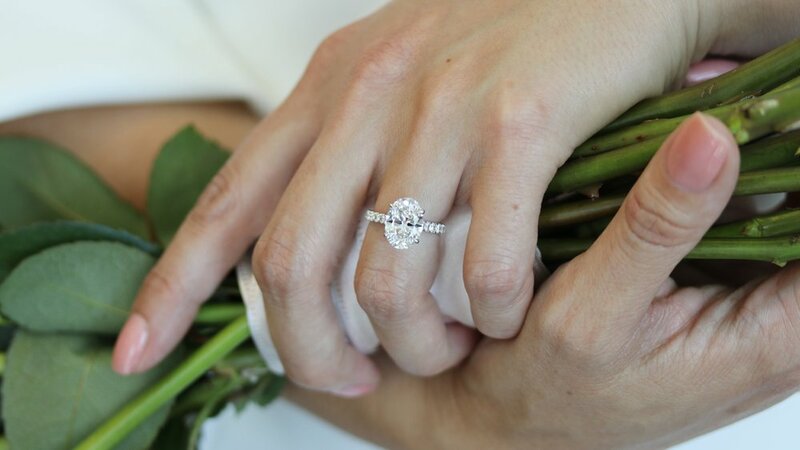 "Ada's stones are fantastic, slightly less expensive than natural diamonds of comparable quality, and we can know for certain that they were sourced in a responsible way (no "blood" diamonds!)." Read the full review on Google. "The final ring exceeded every imaginable expectation. My fiance gets compliments on her ring daily. Her friends, family and co-workers are jealous of her ring - which is the ultimate compliment!" Read the full review on Google. "The most important part: my now-fiancee LOVES the ring! 5 stars all day every day" Read the full review on Yelp. "Me and my husband were considering a simple ring from Cartier until we got referred to Ada diamonds by one of our close friends! Let me tell you that this is one of the best decisions that we have made about our engagement!" Read the full review on Yelp. Ada's Diamond Concierge Program Delivers White Glove Service in a Digital Era. We Would be Honored to be Part of Your Love Story.